Description: The devided Berlin caused, that in both parts big telescopes (and planetraiums) have been build. On the western part of Berlin ther is the Wilhelm Foerster Obesrvatory with it's nice Bamberg Refractor. 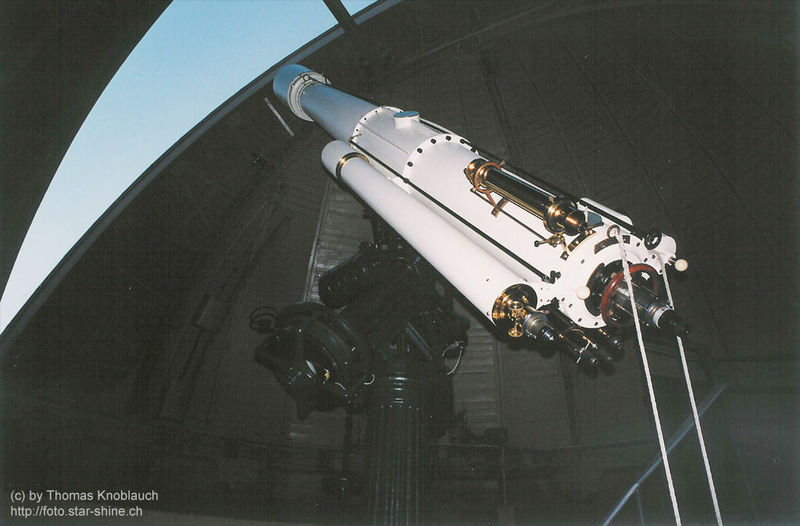 This telescope ha been build by Carl Bamberg. The lens characteristics: diameter 314mm and a focal distance of 5m.